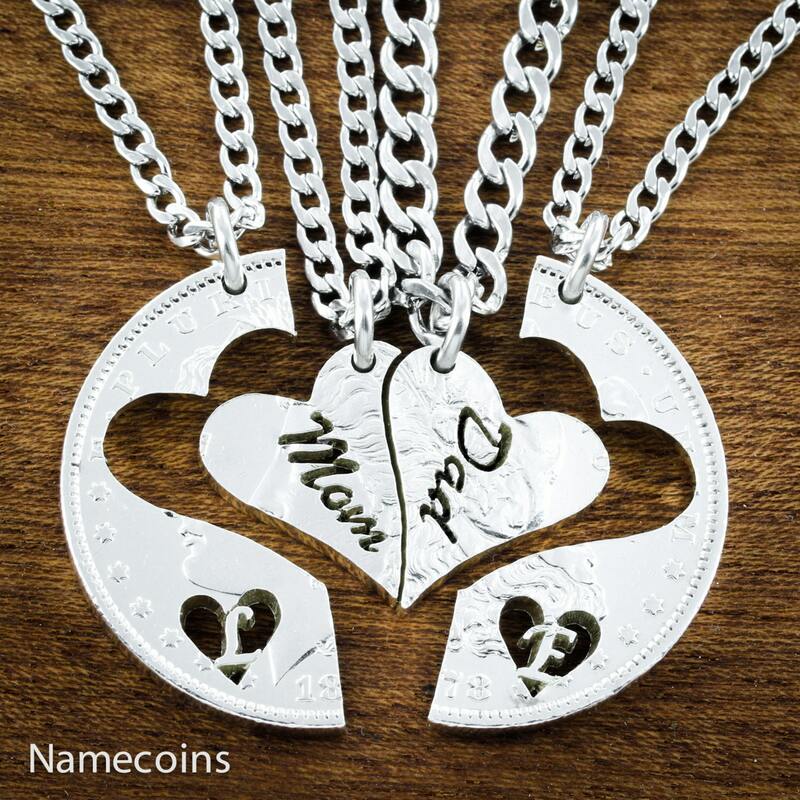 These 4 necklaces fit together like a puzzle. 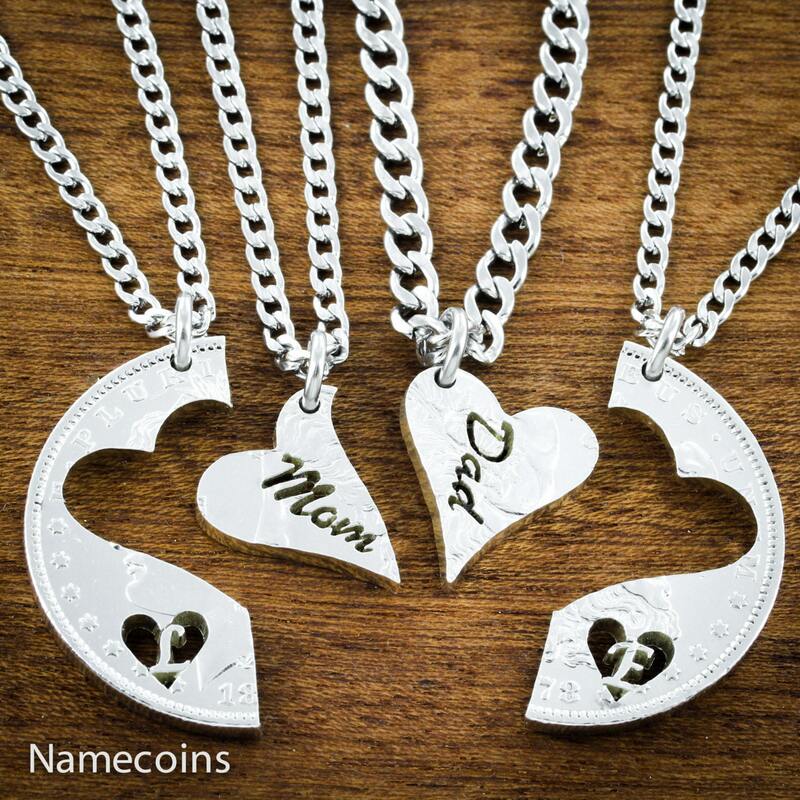 They are for a Mom, Dad, and 2 kids. 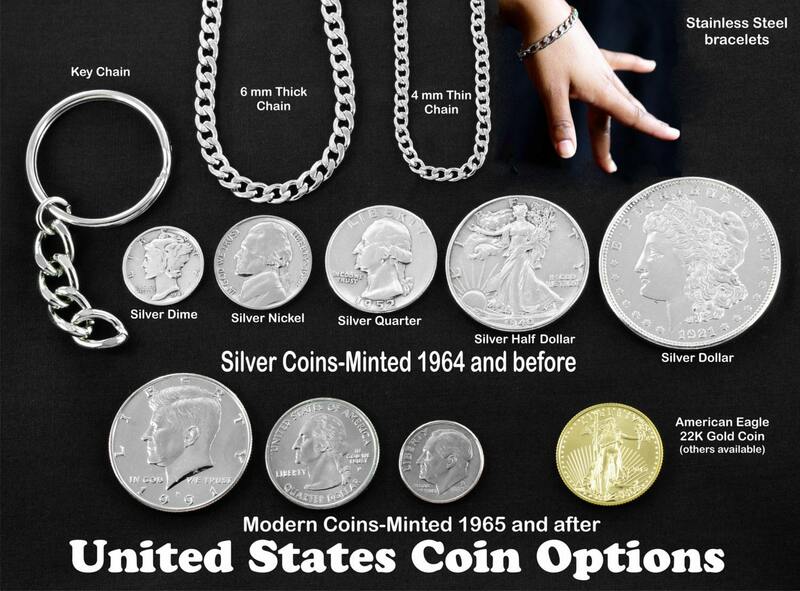 They have been cut out of the beautiful Morgan silver dollar. 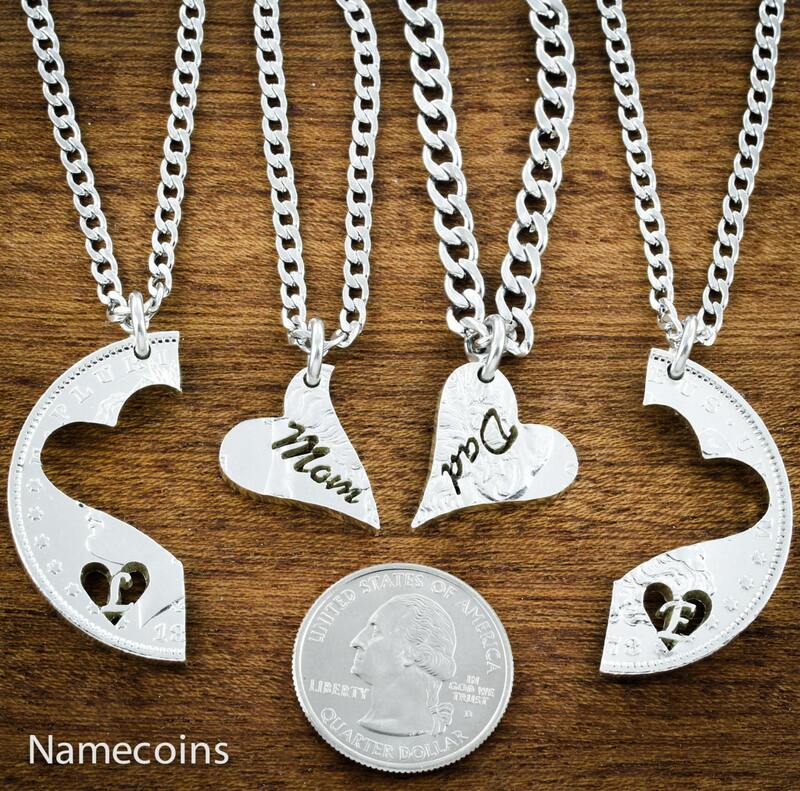 Please let us know what initials you would like in your order comments. All our work is cut by hand with a jewelers saw. First we take our ideas to our designer, then decide on the final draft. Then we drill holes into the coin. 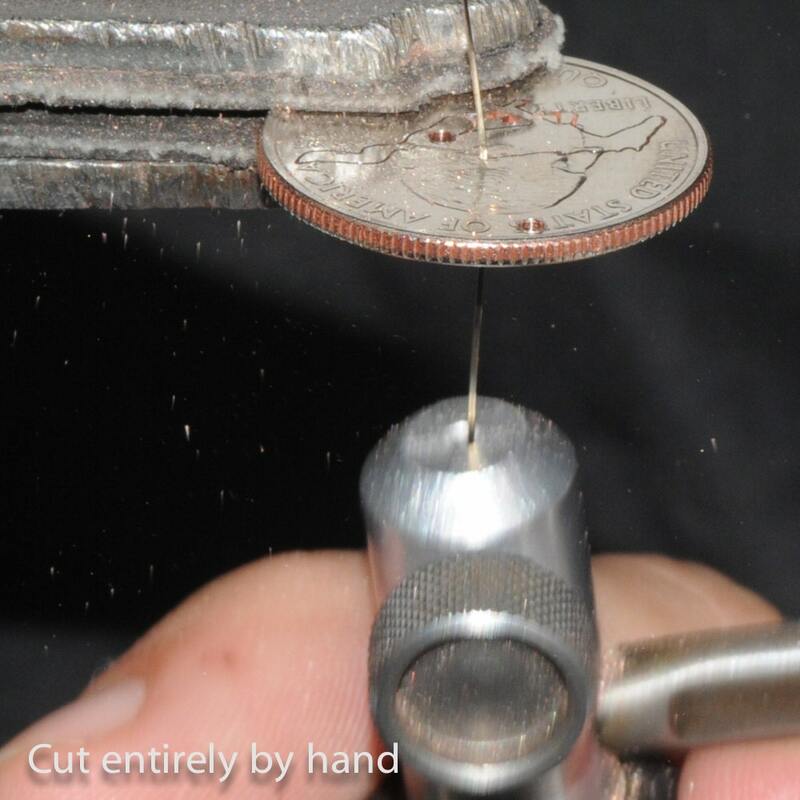 We run our saw blade through the hole, clamp the coin and cut away all by hand! We do not use cutting machines of any kind.